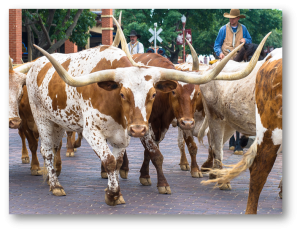 Although previously thought of as an urban metropolis enveloping a cattle yard neighboring Dallas, Fort Worth is a complex and evolving destination brand. The 16th largest city in the U.S. offers a diversity of experiences: from NASCAR racing to rodeos, world-class museums to cowboy cuisine, and biking to horseback riding. 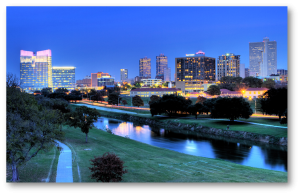 As such, the marketing team at the Fort Worth Convention & Visitors Bureau sought insights to cultivate their strategy to capitalize on their brand’s assets and ultimately grow year-around tourism to their city. The methodology Destination Analysts employed was an online survey of a random, representative sample of ~3,000 travelers in Fort Worth’s top in-state and out-of-state visitor markets. This combined with a creative, custom questionnaire provided a rich data set from which to mine many important and unexpected findings. The findings from this research provided the Fort Worth CVB with an comprehensive analysis of the city’s strongest destination brand components—and, as importantly—how much they own these brand assets relative to their fiercely competitive destinations. Seeing the notable differences between traveler types and their perceptions of Fort Worth and the experiences they would seek in the destination, the CVB was able to adapt and devise new strategies towards conversion. The CVB continues to capitalize on these insights to market even more efficiently to key audiences. The organization will institute this research annually to track lift in key brand performance metrics.